The second Scottish Chefs Conference, the annual event conceived and organised by Willie Pike, Executive Chef and Head of Craft Training for Costley and Costley Hoteliers, will be held on Monday 19 November 2007 at Brig o’Doon, Alloway, South Ayrshire, providing a second chance for chefs of all levels of ability to learn direct from the very best in the business. And the success of last year’s inaugural conference has been such that it has relocated from Lochgreen House Hotel in Troon to sister Costley & Costley venue Brig o’Doon in order to accommodate more than 300 confirmed delegates. Last year’s quartet of celebrated demonstration chefs – Andrew Fairlie, Martin Wishart, Tom Kitchin and William Curley – is followed this year by five of Britain’s finest chefs: Steven Doherty; Jason Atherton; James Campbell, James Petrie and Craig Sandle. Explaining the thinking behind the unique event, Willie said: “The Scottish Chefs Conference aims to give chefs an opportunity to meet up and converse with each other, to expose them to some fresh ideas and cutting edge culinary techniques used by some of the best chefs in the business to help improve overall culinary standards in Scotland. 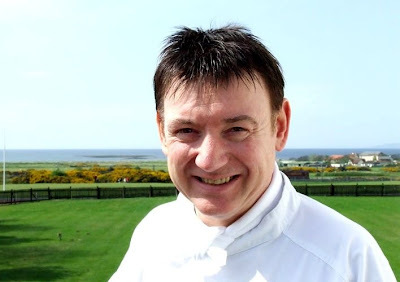 Indeed, Willie Pike’s personal highlight of last year’s conference was noticing Andrew Fairlie sitting in the audience concentrating on Tom Kitchin’s demonstration. “That showed me that even the very best chefs acknowledge that there are things they can learn from their peers –and that’s what The Scottish Chefs conference is all about,” he said. Steven Doherty was the first ever Brit to become Head Chef of a Three-Michelin Star establishment, at Le Gavroche. He is the Chairman of Judges for the Gordon Ramsay scholarship and is on the management committee for the Academy of Culinary Arts. In 1991 he became only the fifth chef to achieve the Master of Culinary Arts Award. Jason Atherton was the first British chef to complete a stage at Spain’s famous El Bulli restaurant. Having worked under Pierre Koffman, Nico Ladenis and Gordon Ramsay as Executive Chef at Verre in Dubai, Jason brings the relatively unfamiliar method of line cooking to his kitchen: a process favoured in many top American kitchens. James Campbell started as Head Pastry Chef at the award-winning Mandarin Oriental Hotel, where he actively partakes in various training and cookery demonstrations as far afield as Malaysia. He has recently been made a member of the Academy of Culinary Arts. Fascinated by the precision and accuracy required in the artistry of pastry work, for the past six years James Petrie has been Pastry Chef of the award winning Fat Duck restaurant in Bray Berkshire, where he works with Heston Blumenthal researching and creating desserts that have received global critical acclaim. Craig Sandle runs the Michelin star Number One restaurant housed in the Balmoral Hotel in Edinburgh. Craig was a recent finalist in the British Chef of the Year competition and his starter was the highest marked by the judges. He is a seasoned culinary competitor, having represented Scotland and winning gold medals at the Culinary Olympics. 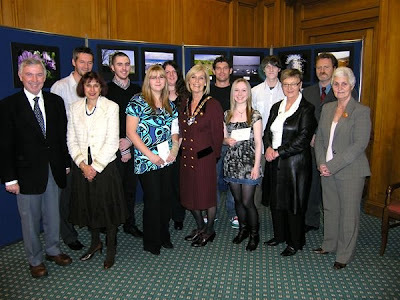 STUDENTS from Ayr College, whose photographs have been selected to appear in the 2008 South Ayrshire Council calendar, attended the calendar launch at a ceremony hosted by Provost Winifred Sloan at the Council’s headquarters. The calendar has been produced as part of the Council’s arrangements for Public Performance Reporting, which it must publish under the terms of the Local Government in Scotland Act, 2003. The Act requires local authorities to develop ways of identifying who their stakeholders are, the information they need and want and how that information may best be transmitted to them, and then to respond accordingly. The students submitted photographs that they thought reflected South Ayrshire, and from these a photograph was chosen for each month of the year and one for the front cover. The colourful 2008 calendar shows the beauty and diverse nature of South Ayrshire. Information in the calendar highlights the key areas of the Council’s performance, information about Councillors, contact details and where to find further information about the Council. The winning photograph entries will be displayed within the Rozelle Galleries during the month of December so that members of the public may view them. The Council’s 2008 calendar, which is FREE, will be available now. This year, to reflect the view that not all households wish the calendar delivered to their home, the Council is instead making it available from Council offices and a range of other locations. GOOD news on the Ayrshire employment front as 119 workers at Hunslet-Barclay Limited in Kilmarnock breathe a sigh of relief that their jobs are saved in time for Christmas. Hunslet-Barclay is a long established railway engineering business, specialising in the refurbishment and repair of rail vehicles and related components. It has a substantial customer-base, and has carried out work for First Scotrail and Glasgow Underground. On 26 October the company was placed into administration after cashflow difficulties ultimately forced the directors to appoint Blair Nimmo and Tony Friar from KPMG Scotland as joint administrators. But now the joint administrators of Hunslet-Barclay Limited are pleased to announce a successful £2.1 million sale of the firm’s business and assets to engineering giant FKI plc. FKI will run the business through its rail locomotive firm Brush Traction. KPMG's Blair Nimmo said the sale would secure 119 jobs and see the business continue to trade from the Kilmarnock site. The sale secures 119 jobs and will see the business continue to trade from its existing site in Kilmarnock. Blair Nimmo said:“We are pleased to have completed a sale of the business and assets of Hunslet-Barclay Ltd, which secures the continuation of the business and skilled jobs in Scotland and represents a good result for the employees. Costley & Costley Hoteliers has started work on its ambitious £1 million Souter Johnnie’s Inn at Kirkoswald, near Turnberry, Ayrshire, which looks set to play a central role in the regeneration of the village by placing Kirkoswald at the very heart of Burns Country. 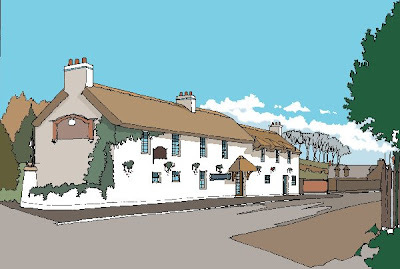 Located alongside Robert Burns’ former schoolhouse and adjacent to the old graveyard where the world-famous drouthy cronies Tam o’ Shanter and Souter Johnnie are buried, the thatched roofed Souter Johnnie’s Inn will have capacity for 160 diners. Following extensive refurbishment and renovation of two former public houses, in addition to Souter Johnnie’s Inn, the expansive development will comprise a number of small retail units, including a food hall, flower shop and coffee house which will neighbour a specialist whisky shop developed in conjunction with whisky stockist Dewar Rattray. Costley & Costley chief executive Bill Costley said: “Developed along similar lines to our Cochrane Inn and Alloway Inn, with a strong emphasis on the quality of our food offering, customer service and traditional design, Souter Johnnie’s is ideally located to allow for a brief lunch or refreshment before or after a round of golf, or a sightseeing trip to Burns Country and the wonderful attractions on the West Coast. The neighbouring whisky shop, meanwhile, will incorporate a whisky lounge where diners from Souter Johnnie’s are welcome to taste a malt or fine wine, or to simply relax before or after their meal. Souter Johnnie’s Inn is scheduled to open for Burn’s Night on 25 January 2008. As with all Costley & Costley hotels and inns, it is located within minutes of some of the world’s premier championship golf courses at Royal Troon and Turnberry. Other Costley & Costley establishments include: Frognal House; Lochgreen House; Darley House; Highgrove House; Brig o’Doon House; Alloway Inn; Cochrane Inn; Doonbrae House and Afton House. New properties scheduled to open next year include Costley’s Wine Bar and Gallery in Ayr. 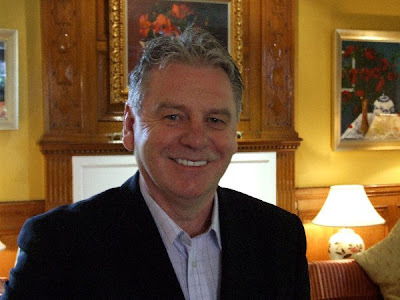 Costley & Costley Hoteliers was established in 1987 when chef Bill Costley realised his ambition to buy a hotel of his own. Today, Costley & Costley Hoteliers has a turnover of £8.9 million and employs 500 staff, making it one of the largest employers in Ayrshire. THE chief executive of South Ayrshire Council will leave his job at the end of this month, it has been announced. 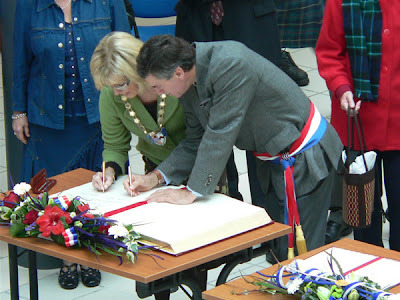 At a meeting of South Ayrshire Council on 14 September 2007 it had been decided that Tom Cairns, the Council’s current chief executive, should remain in post until August 2008 and then leave the Council. But by “mutual agreement” it has now been agreed between Tom Cairns and the Council that he will leave earlier. 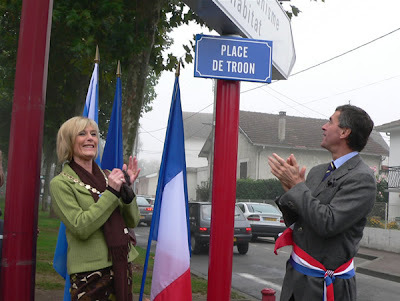 He will now vacate the post of chief executive on 30 November 2007. The recruitment process for a new chief executive will now be initiated, and this will involve advertising the position in appropriate national press and professional publications. The recruitment process will be conducted through the Council’s Chief Officers Appointments Panel.